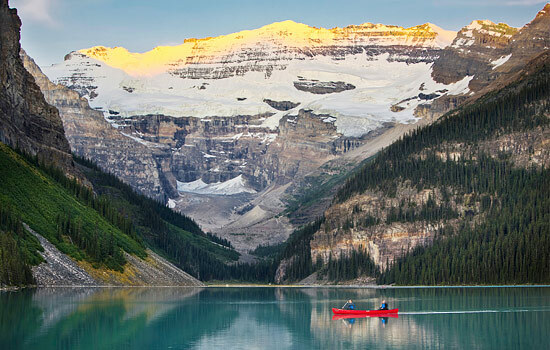 Explore the best of the Canadian Rockies National Parks on a week-long independent vacation. 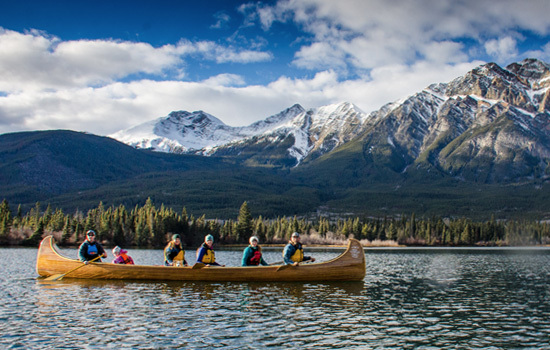 See Lake Louise, Banff and Jasper National Parks, whilst enjoying your choice of guided activities. Everything is pre-planned, including transfers, the best Canadian Rockies hotels, and unique tours. Choose from sightseeing, wildlife viewing, train experiences, guided hikes, and more. Welcome to Calgary! Upon arrival, meet your transfer at the Calgary International Airport and travel through the Canadian Rocky Mountains to your Banff accommodation. 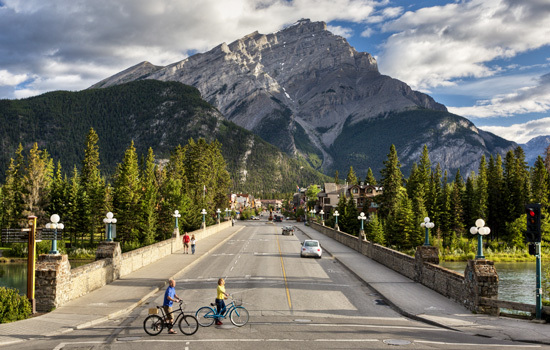 Welcome to Banff, the mountain playground of the world! The townsite of Banff, established in 1885, is the main commercial center in Banff National Park. In 1984, Banff was declared a UNESCO World Heritage Site, for the mountain landscapes containing peaks, glaciers, lakes, waterfalls, canyons and limestone caves as well as ancient fossil beds. Enjoy your afternoon and evening exploring the town. This fantastic full day tour includes a visit to an incredible grizzly bear habitat, where resident and orphaned grizzly bear, Boo, lives and plays. 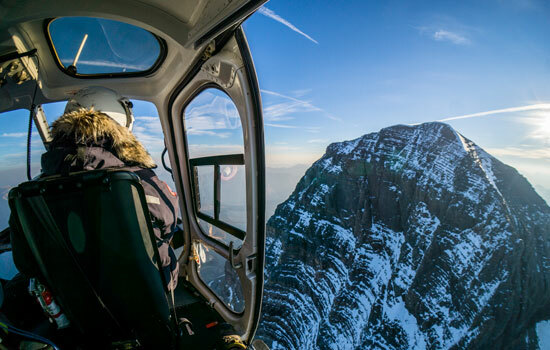 What an amazing way to see the icon of the wilderness! 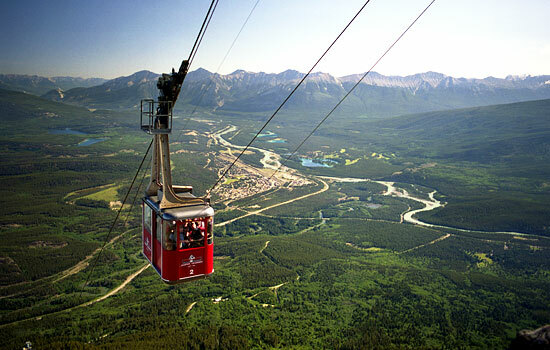 Next you head to Kicking Horse Resort and ride the gondola to the top of Kicking Horse Mountain. Here you will dine at Canada's highest restaurant for a gourmet lunch (included). Stops also include the beautiful Emerald Lake, Takakkaw Falls and the spectacular Spiral Railway Tunnels in Yoho National Park. Hiking is one of the best ways to explore the natural landscape and beauty of Banff National Park. 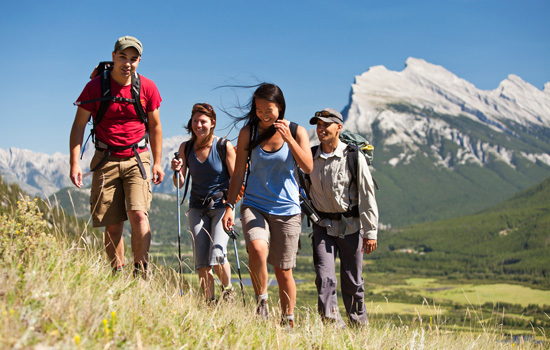 Based on the day of the week you will get to enjoy a classic hike in the Canadian Rockies led by a professional guide. Hikes will vary in difficulty and length and include a box lunch, bottled water, use of hiking poles and day pack. 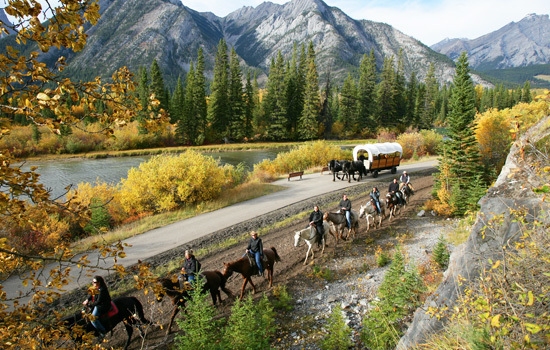 Enjoy an evening horseback ride along the base of Sulphur Mountain to a delicious BBQ. 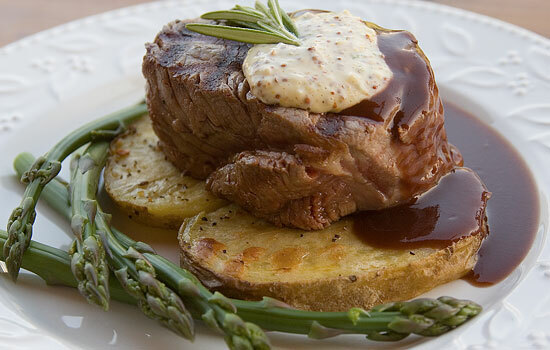 While your guides cook, try your hand at calf roping or a game of horseshoe. 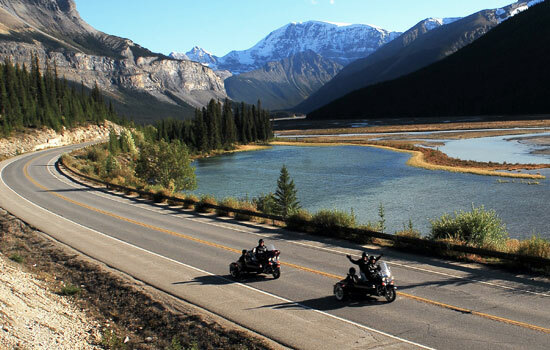 The return ride will take you along the banks of the Bow River. Lunch tours and the option to ride in a covered wagon is also available. Start your full day tour this morning as you travel the Icefields Parkway with a small group and guide through the natural splendor of Banff and Jasper National Park. The breathtaking panorama of snow-capped peaks and endless mountain ridges opens to spectacular views of deep valleys stretching to a distant horizon. 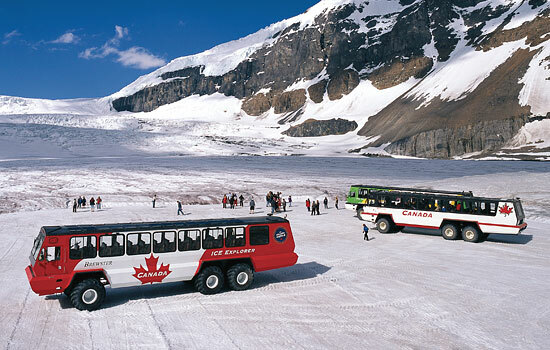 The tour stops at the Columbia Icefield where you will venture onto the massive Athabasca Glacier in a specially designed snow coach and then head up for an amazing view on the Glacier Skywalk. Picnic lunch included today. 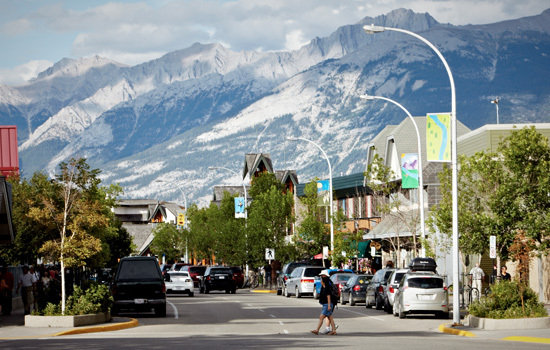 Arrive in Jasper this evening for a relaxing stay in this small mountain town set in the largest park in the Canadian Rockies. Jasper offers visitors a more laid-back mountain experience – with equal options for adventure, discovery, and relaxation. Spend the day exploring the jewel of the Canadian Rockies, Jasper. An evening on a mountain lake is breathtaking – fish breaking the surface of the still water, the call of a loon, a beaver gliding though the water, or perhaps a moose grazing on the shore. Paddle with a guide across the lake, in a large canoe. What a peaceful way to end your day, with the sun setting behind the surrounding mountains. Enjoy a professionally guided hike today in Jasper National Park. Done at a leisurely pace to allow you to take in the amazing scenery surrounding you. Depending on the day you may be strolling through wildflowers, gazing at the glaciers above, taking in the stunning colors of the mountain lakes and seeing wildlife! Enjoy a picnic lunch (bring your own) surrounded by spectacular scenery and crisp fresh mountain air! This tour begins with a ride on VIA Rail’s Skeena train where you are whisked away down the tracks in comfort of your own seat with viewing window. Sit back and take in the magnificent scenery as you make your way down the Fraser River into beautiful British Columbia’s Robson Valley. Upon arrival in Dunster you will be met by your guide for the return sightseeing adventure back to Jasper along the Yellowhead Highway which includes a stop at the famous Mt. Robson, the tallest mountain in the Rockies. Spend another day exploring Jasper National Park. 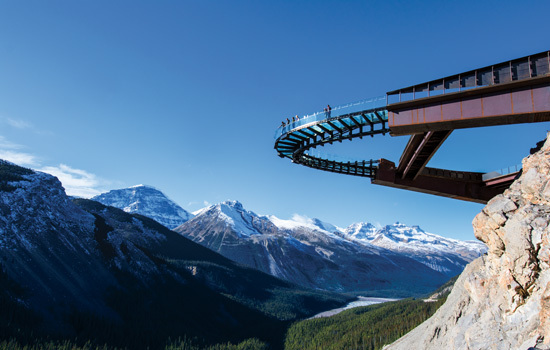 Today you have admission and a shuttle included to the Jasper Skytram, the longest and highest aerial tramway in the Canadian Rockies. Take a guided scenic raft trip on the Athabasca River, navigating through small sets of rapids and stretches of calm waters. Sit back and let your guide do the rowing while you take in the magnificent scenery! Tour leaves from the Jasper train station in town. This afternoon, meet your transfer from Jasper to the Calgary Airport. Each turn reveals sparkling blue-green rivers and lakes, glaciers, mountain ranges and wildlife, so have your camera ready! Spend the evening at a Calgary Airport hotel. Overnight at Calgary Airport hotel. 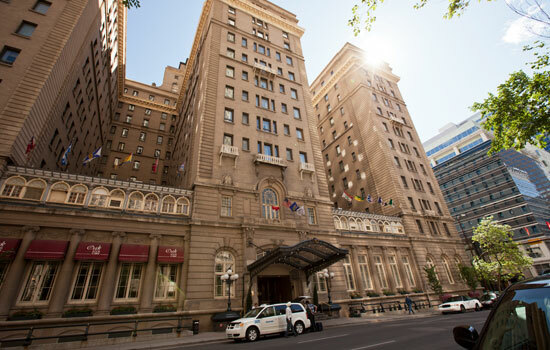 Insider tip: If you have flights departing Calgary in the later afternoon tomorrow, ask about moving your hotel from the Calgary Airport to downtown Calgary. Alternatively, ask about ending your trip in Edmonton rather than Calgary. 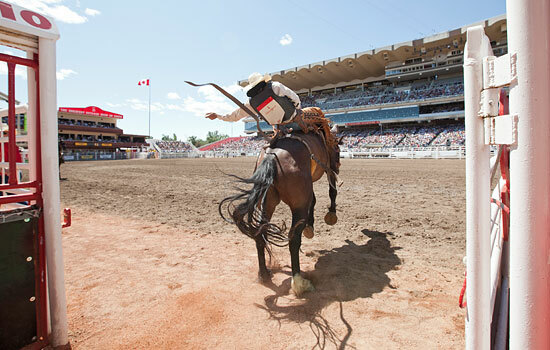 Depart Calgary today on your flight home, with fond memories made of your Canadian Rocky Mountain vacation. • Fresh Tracks Canada customer service – from the time you book, you will have your own personal Vacation Coordinator whom you can reach out to with any questions or requests. • Discover Grizzly Bears, Lakes and Waterfalls Tour is available for May 31 to September 29 trip departures. • Banff National Park Guided Hike has a minimum age of 13. • Cowboy Cookout Horse Ride is available until the September 21, 2019 departure date. This activity has a maximum weight restriction of 250lbs per rider and a minimum age of 13. Ask your agent about the wagon ride alternative. • The Guided Wilderness and Nature Tour operates on Sunday, Tuesday and Fridays. Have your agent plan your trip start date accordingly if you wish to participate in this activity. 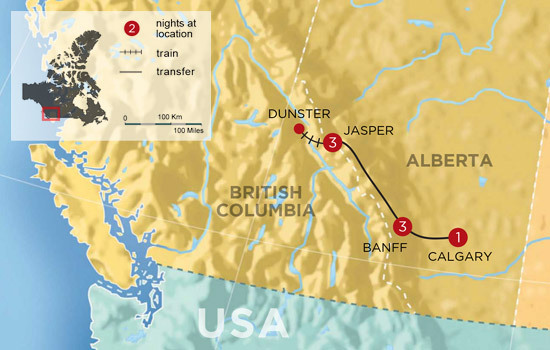 • The Half Day Train & Sightseeing Tour in Jasper operates on Sunday, Wednesday and Fridays. Have your agent plan your trip start date accordingly if you wish to participate in this activity. 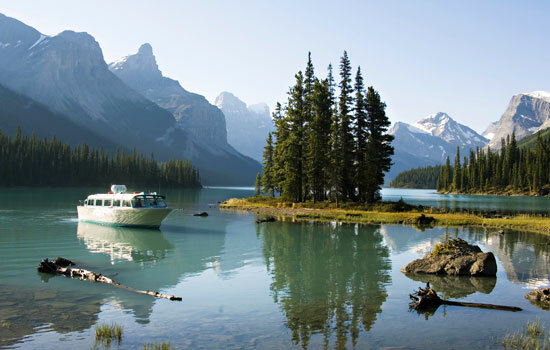 • Maligne Lake Cruise is available for late May to early October trip departures; weather conditions may cause season delays out of our control. A walking excursion will replace the cruise when it is unavailable. • The Best Hike of the Day in Jasper is available for mid-June to late September trip departures; weather conditions may cause season delays out of our control. • The Scenic Jasper Float Trip on the Athabasca river is available until the Oct 1 departure (weather dependent).